PLASTICS’ Advocacy team conducts a comprehensive public policy program designed to preserve and enhance a positive legislative and regulatory climate for the entire plastics industry. But in order to truly empower the industry’s impact, we need your involvement on a grassroots level. Listed below are activities you can undertake to make a difference. Take a moment to fill out this form about where you’re making an impact in the economy and in your community. 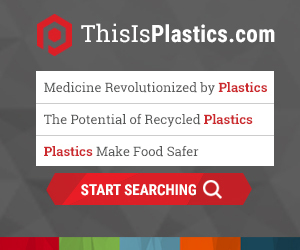 This information helps us tell a more complete story about the benefits of plastics. Host plant tours for your federal, state, and local elected officials. This is a win-win opportunity to tout your business’ success and allow policymakers to better understand the benefits of plastics. Visit with your city, state or federal officials while they’re in the district or visit their capital offices. When considering legislation, policymakers often weigh how it will impact constituents in their district. Responding to legislative alerts is one way to express your opinion to your elected officials. Join your industry colleagues to make your voice heard in Washington, D.C. Talk about the issues that matter most in the nation’s capital with policymakers who need to be reminded how their actions affect businesses across the country. The Plastics Industry Association Political Action Committee (PLASTICS PAC) is the industry’s way to support House and Senate candidates who advocate for the plastics industry.